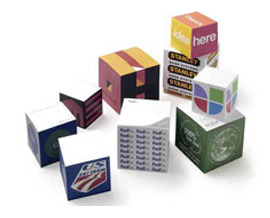 It's less expensive than you think to print full color note pads and memo pads for your business. Notepads solidify your image and your salespeople and clients alike with appreciate them. Available in pads of 50 sheets or more, choose from various paper stocks and finishing options such as gum binding to easily tear away your memos. 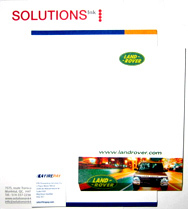 Be sure and request samples of our own full color notepads with your sample kit, to give you a better idea. 1. Select options for your notepads. 2. Add notepads to your list.